As I have mentioned before on this blog, charms have been used for hundreds of years, and while their popularity has had its ups and downs, they never completely went out of style. After a major dip in the 1970s, they slowly made their comeback, and today, they’re more popular than ever. Traditional charm bracelets consist of a chain (in silver or gold) with charms, usually attached with jump rings, which come in many sizes and materials to match your charms and chains. You can of course buy them ready made, but I think it’s much more fun to put them together yourself, and obviously, this way, you can add any charms you want. And assembling them is (usually) really easy. 1. Get a chain. Either buy just a piece of chain and attach the clasp yourself, or get it with the clasp already on. 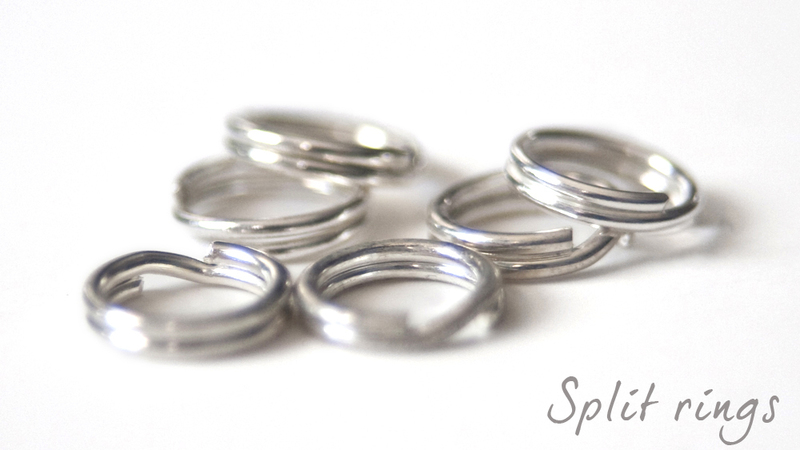 Split Rings, which is like a tiny version of the ring you have on your keychain. 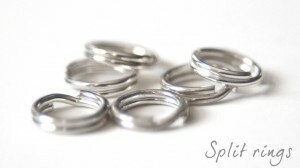 Split rings hold the charms securely in place, but can be a bit tricky to work with (as anyone who has tried to remove or add keys to their keychain will know). 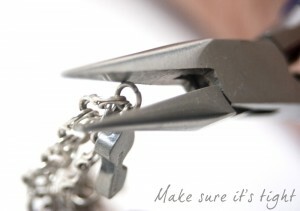 Your best bet is to get a pair of split ring pliers to help open the ring, and then just slide the charm on and attach the whole thing to the bracelet. 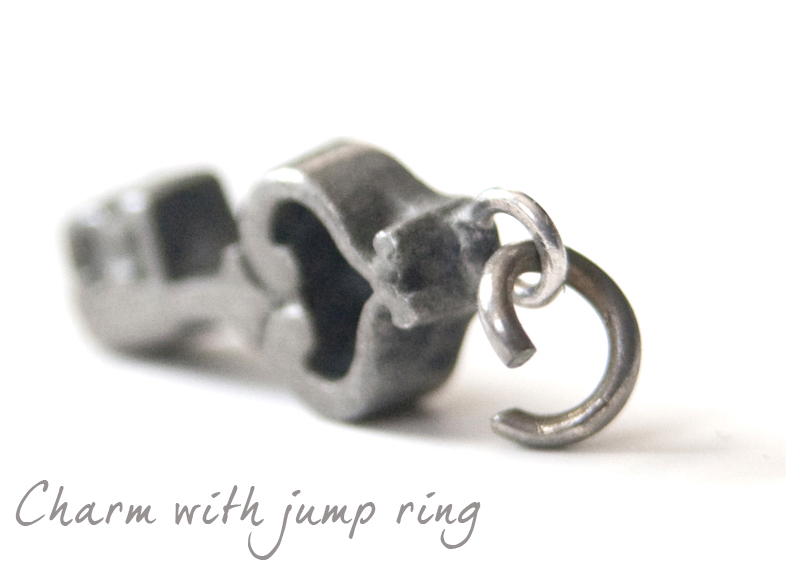 Non-Solder Jump Rings. These are the most common, and easiest to use. 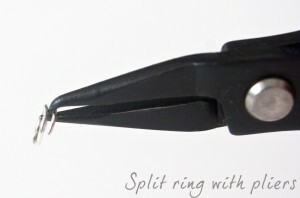 They are tiny rings with a straight cut opening, and to add a charm, you just bend the ring apart at the opening (using your fingers or pliers), add the charm, put the whole thing on the bracelet, and close the ring (make sure the ends are completely closed and matched up perfectly). It’s the least secure option, but definitely the easiest if you know you’ll want to change up the look of your bracelet every now and then. 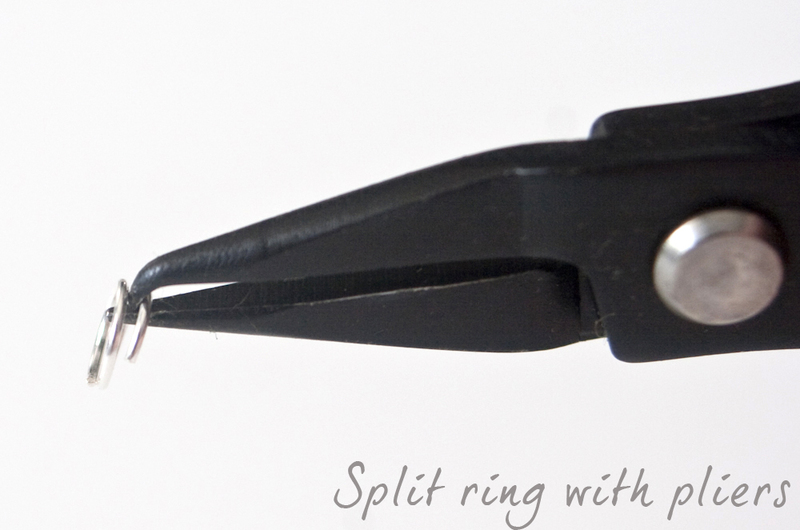 Jump Rings for soldering. These are tiny round rings with an angled cut opening, meant to be soldered once the charm is attached and they’re on the bracelet. It’s not my favorite option for a couple of reasons: few people are able (or want to) do the soldering themselves, so you have to pay to have it done, and also, when you do it this way, you can’t switch out the charms whenever you want to unless you cut the jump ring open. This is, however, a really secure method of keeping the charms on the bracelet, and a good option if you have a very expensive or special (inherited perhaps) charm bracelet that you know you’ll want to keep this way forever, and pass on to future generations. Or if you don’t want to bother with jump rings at all, you can always get clip-on charms. 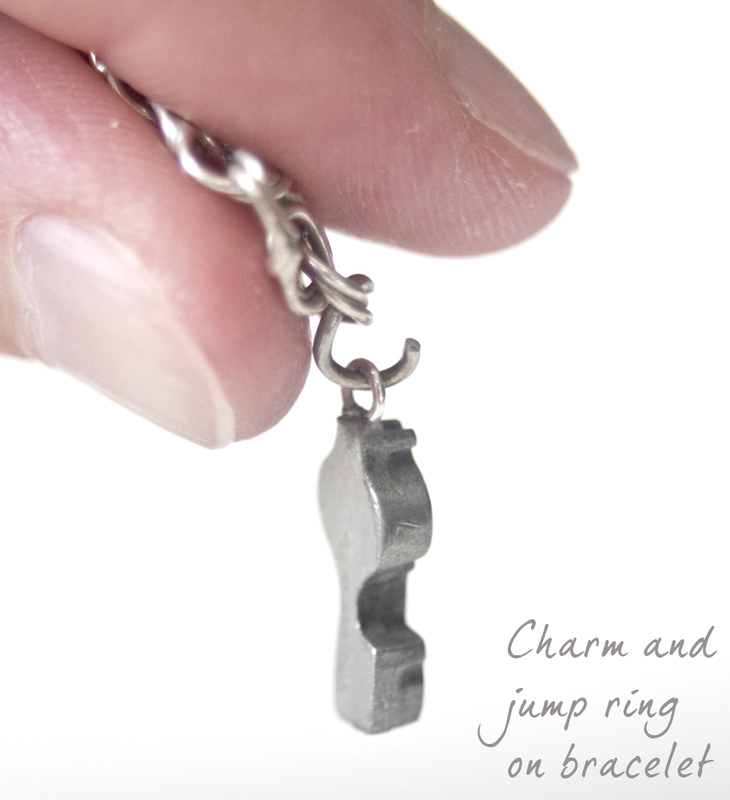 Relative newcomers on the market, clip on charms make putting a bracelet together super easy. They have a lobster (or round) clasp attached, and all you do is open the clasp and put it on your bracelet (the Thomas Sabo Charm club and Rembrandt charms are perfect examples). I think it can look a little bit too busy with all that hardware, especially if you have teeny, tiny charms attached, but it certainly makes for quick and painless assembly. And you can easily put them on other things as well, like a cell phone, purse, key chain, dog collar, baby stroller, etc. 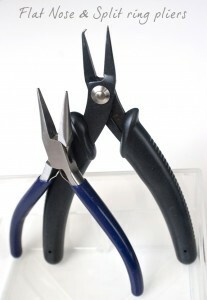 However, we will continue this assuming you are using either a split or non-solder jump ring. 3. 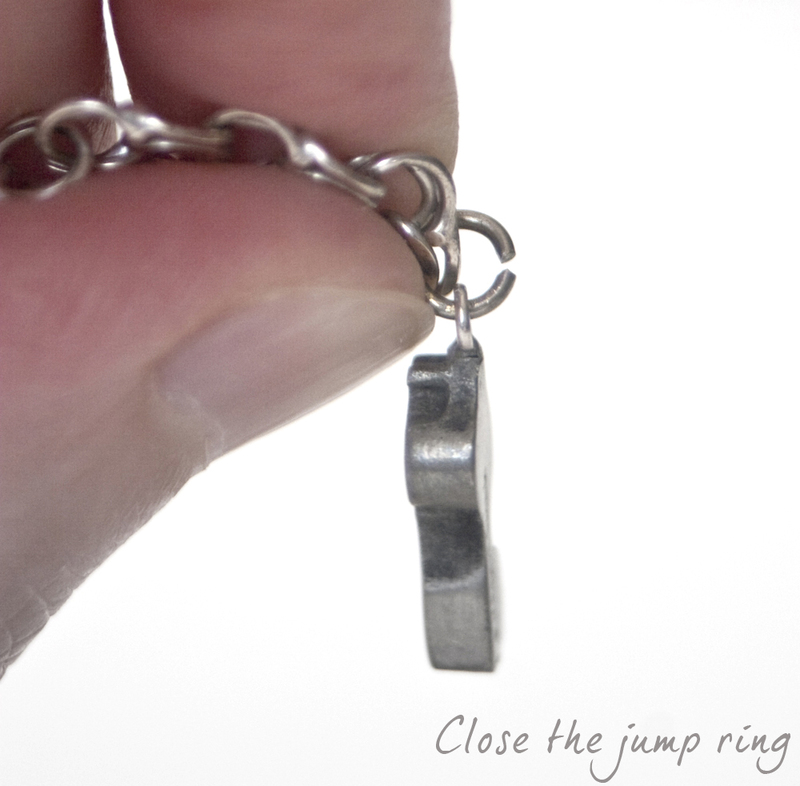 Open your jump ring, slide the charm on, hook the ring through one of the links on your chain, and close it. That’s it! Just repeat this until the whole bracelet is done. For another DIY project, see my post about making a charm bracelet from silver rings.